Stratasys, a global leader in additive technology solutions unveiled a range of new solutions. 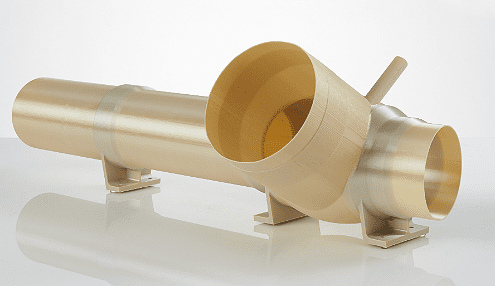 These new additive manufacturing solutions, Stratasys announced, are designed for use on factory floor and hence set to take additive manufacturing into mainstream. One of the key products unveiled by Stratasys include the new F900 Production 3D printer – a third generation 3D printer of the company’s existing flagship FDM system. The F900 Production 3D printer features an MTConnect- a manufacturing technical standard ready interface with production-ready accuracy and repeatability. Built on one of the most widely used AM systems for high-end additive manufacturing – the Fortus 900mc platform, the FP00 comes in different series of three solutions, the F900, the F900 AICS (Aircraft Interiors Certification Solutions) and the F900 PRO. The F900 AICS is the first-of-its-kind solution delivering the performance and traceability required for flight-worthy parts. Where as the F900 PRO is a production-grade system ideal for producing parts with highest FDM repeatability and performance in ULTEM 9085 resin. 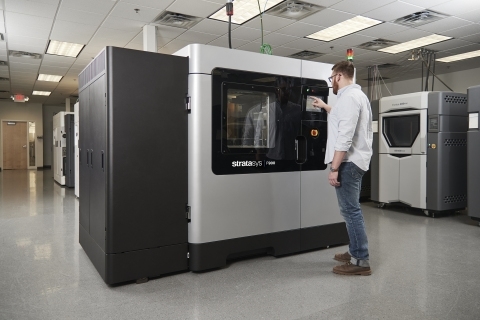 “With the introduction of the F900 Production 3D Printer and the focus on industry standards and standardization, Stratasys is helping to advance this technology from its prototyping and tooling roots to a true industrial additive manufacturing system,” Kmetz added. In addition to unveiling the new solutions, Stratasys also announced that its manufacturing services division, Stratasys Direct Manufacturing, is now offering parts built with FDM Nylon 12CF. The Nylon 12CF is ideal for functional prototypes and production parts in high-requirement applications.